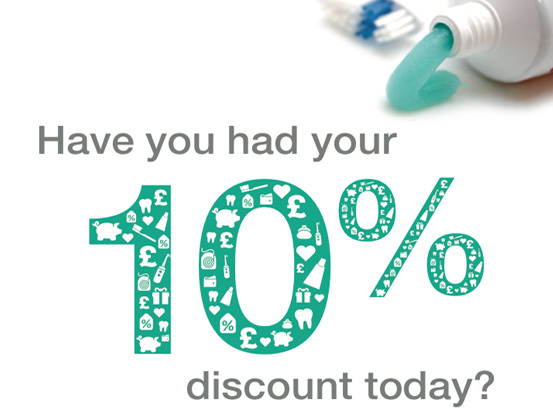 Denplan is a great way of budgeting for dental care. There are monthly plans which give certain benefits towards the cost of maintaining your dental health here at Berry Lane Dental Surgery. The only extra charges are making and materials charges for providing crowns, dentures, and bridges or for specialist investigations and referrals. All routine check-ups, consultations, fillings, root fillings, X-Rays, and all other clinical time. However, you will be liable for the materials and making costs of crowns etc. which typically is about £175 per crown (normal crown prices are £375). Any dental treatment needed in an emergency anywhere in the UK or overseas. Any dental treatment required after an accident or trauma up to £10,000. The premiums depend upon the condition of your teeth on acceptance and will depend upon which of the five band levels you fall into. We will advise you on your premium level after a thorough dental examination. You must be dentally fit on acceptance and have no immediate dental work requirements, unless this is specifically excluded by arrangement. On joining the scheme a member of the Berry Lane Dental Team will work with you to determine the number of examinations, hygiene appointments, etc you are likely to need each year – a fixed monthly fee will then be agreed based on the condition of your teeth and gums. The fee is usually taken via a direct debit so once you have set it up, you don’t need to worry about it. At the beginning of your programme there is a one-off registration charge, equivalent to one month’s fee which covers initial registration and administration. Many of our patients are members of the scheme and find it a simple and effective way of maintaining the health of their teeth with regular visits to the practice. It provides an easy to manage financial solution to established high quality dental care, and peace of mind in the event of an emergency. Berry Lane conform to strict codes of practice as a Denplan Excel practice. These include adhering to Denplan Excel’s strict standards of professionalism, as well as conforming to the Rules of Membership and Code of Practice established by Denplan. We take part in many forms of continuous professional development, both as individuals and as a team, which helps us to keep up-to-date with the standards of care and governance required in modern dental care and practice. Further information about the various Denplan schemes can be found on their website ; alternatively, talk to a member of the dental staff at Berry Lane who will be pleased to provide you with further information to best meet your requirements.